We send out newsletters on a regular basis, covering various topics, to clients and subscribers. To be able to receive any of our newsletters you must become a subscriber to our newsletter subscriber group. In terms of the regulation of SPAM and unsolicited emails, we do not send out any newsletters unless a subscriber has indicated that he / she is interested in receiving emails from us. Your are also invited to send suggestions about newsletter topics. The topic on which we receive the most suggestions will be considered as a topic for a future newsletter. Herman Rall is a Tax Practitioner for the past 15 years with extensive experience in Taxation matters and also obtained experience at SARS as a Tax Auditor. Obtained his Hons B.Com in Accounting and Taxation at the Northwest University (previously PU for CHE) in 1993 and is a registered member of the South African Institute for Business Accountants. Herman was from July 2006 to June 2012 a Director of The South African Institute for Business Accountants. In these news articles, I am sharing some of my experiences, thoughts and ideas with you on various topics. The news articles are short and to the point without the technical bits that confuses everybody. 2. Always put my email address in the CC box, so that I can know who you are sharing it with. 3. 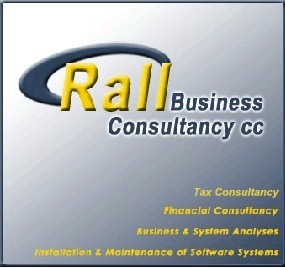 Our client base will grow with new clients joining our existing clients as satisfied clients. 2. You will be removed from our newsletter email list if you wish not to receive any future newsletters. If you do not want to receive any future newsletters, simply complete the Newsletter Subscribe form below by selecting Unsubscribe and supply us with the email address with which you have subscribed previously and you will be removed from our newsletter subscriber list. If you want to subscribe to our regular newsletters complete the subscription form and we’ll add you to our newsletter subscriber list.